Jordan Marks, executive director of the National Public Pension Coalition, gives some good pointers on how to develop a public relations campaign to protect public employee pensions. Marks spoke to the 700 fire fighters who attended the IAFF Legislative Conference last week in Washington, DC. He said defined benefit plans are the foundation of a secure retirement, but the concerted effort to attack public employee pensions continues. Labor unions must press forward through legislative and media outreach and peer education to make sure their narrative is heard, he said. 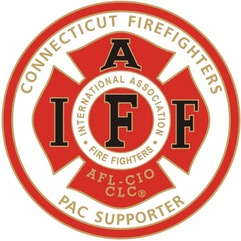 “The challenges with these pension attacks is not only does it undermine the union -- which is the goal of most of these attacks -- but it also has the potential to leave most of IAFF members in poverty,” Marks said. It is dangerous for labor unions to get a late start on campaigns, Marks said, and urged IAFF affiliates to be ready to respond rapidly to the myths and hypocrisy being floated about pensions. The narrative in the press about pension plans tends to not favor workers, and that is something that has got to improve. He offered these suggestions on the slides below to help get you started on a successful pension campaign. Talking publicly about pensions can get complicated, so it’s really important to make sure your message is simple, Marks said. Member-to-member education is also essential to help spread the message about pensions. In 2012, pension “reform” occurred in six states. This year, pension fights are heating up in Florida, Pennsylvania, Kentucky and Illinois, among others. Groups like the Pew Foundation and the John and Laura Arnold Foundation are aggressively pushing cash balance plans that would end defined benefit pensions, saying that public worker pensions are unsustainable. Marks said labor unions need to be ready to confront these groups with their own data, research and messaging to protect workers and their life savings.